Gary Leydig has received considerable recognition from his peers. Martindale-Hubbell has assigned Gary an “AV” Preeminent rating, its highest peer review rating for both ethical standards and legal ability. 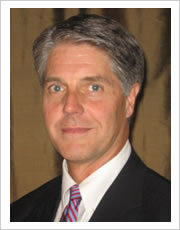 Gary's peers have selected him for inclusion in The Best Lawyers in America for his work in the area of franchise law. Gary has been named an Illinois “Super Lawyer,” which is a peer designation given to only 5% of the state’s lawyers. Gary has been named an Illinois “Leading Lawyer,” a peer designation for only 5% of the lawyers in Illinois. Gary has been named in Who’s Who Legal, the International Who’s Who of Business Lawyers published by the International Bar Association.